Clicl on red button to bid now! 4- Full payment required by Tuesday, April 30, 2019 at 4:00p.m. 5- Nothing can be removed during the Auction. Check-Out times are Tuesday, April 30, 2019 and Wednesday, May 1, 2019 (8:00a.m. to 4:00p.m. by appointment). Final removal required by Wednesday, May 1, 2019 at 4:00 p.m., any purchases not removed by this date and time will accrue a minimum storage charge of $50 per lot per day. Total responsibility for removal of purchases is that of the Purchaser, financially and physically. The Auctioneer cannot be responsible or liable for any moving, on or off-site. Purchasers must supply their own equipment, boxes and labor as applicable for removal. Please contact a local shipping company (i.e. The UPS Store, etc.) for shipping. STAMPLER AUCTIONS WILL NOT HANDLE SHIPPING, PACKING OR MOVING OF ANY PURCHASES. Please make arrangements with third party shippers in advance, if applicable. All bidders must register and obtain a paddle. A minimum deposit of $1,000 per forklift is required upon purchase, in cash or equivalent. The Auctioneer and/or Bookkeeper reserve the right to collect additional deposits with additional purchases throughout the Auction. The Auctioneer will maintain a minimum of a 25% deposit of total purchases at all times. All bidders must pre-register to bid at bidspotter.com. Stampler Auctions highly recommends registering no later than Sunday, April 28, 2019. 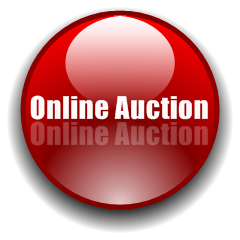 This auction will require a refundable credit or debit card authorization / hold. Your credit card / debit card added through the Bidspotter.com fully secure and PCI compliant registration process will be assessed a $1,000 authorization deposit in order to be approved to bid within the auction. You will not be approved without your credit card entered at the stage of registration being assessed a refundable deposit of $1,000. Purchases will NOT be automatically charged to the credit card. Payment for purchase(s) is due within one business day (Tuesday, April 30, 2019) at 4:00pm by cash, cashier’s check or wire transfer. Should payment not be received by the deadline, Stampler Auctions can process the card authorized for the total amount of the purchase. Buyer is still subject to all terms and conditions of the auction.